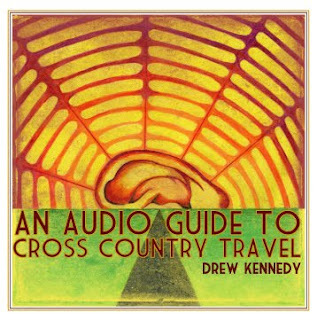 Singer/songwriter and generally cool guy, Drew Kennedy releases his new album An Audio Guide to Cross Country Travel Tuesday. I'll leave the reviews to the pros, but trust me, this is a great album (already in FTM's top 15 of the year), filled with soulful vocals and thoughtful lyrics. Drew may be a part of the Texas scene but he's a different animal altogether. Far from frat-country, his songs are well-crafted and literate. His rich voice may take some getting used to for some, but once you get it, you love it. Give Drew and his new album a listen!